The tree is also called princess-tree, floxglove-tree or kiri, and was introduced from Asia in the 1840s as an ornamental. It has also been cultivated in plantations for its specialty wood. 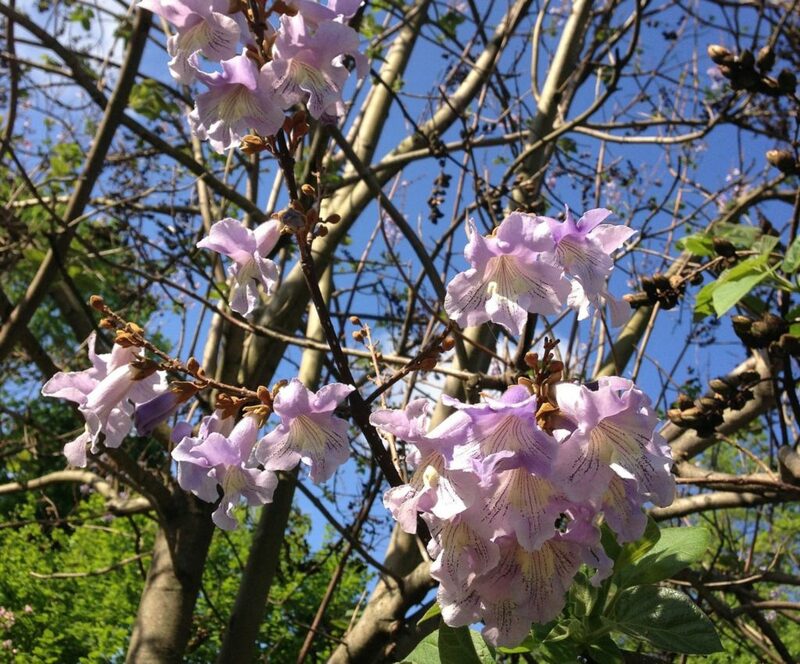 Despite being beautiful trees Paulownia tomentosa as well as Wisteria sinensis, are listed by several states and the US Forest Service as being invasive. Posted in Outdoors. Bookmark the permalink.